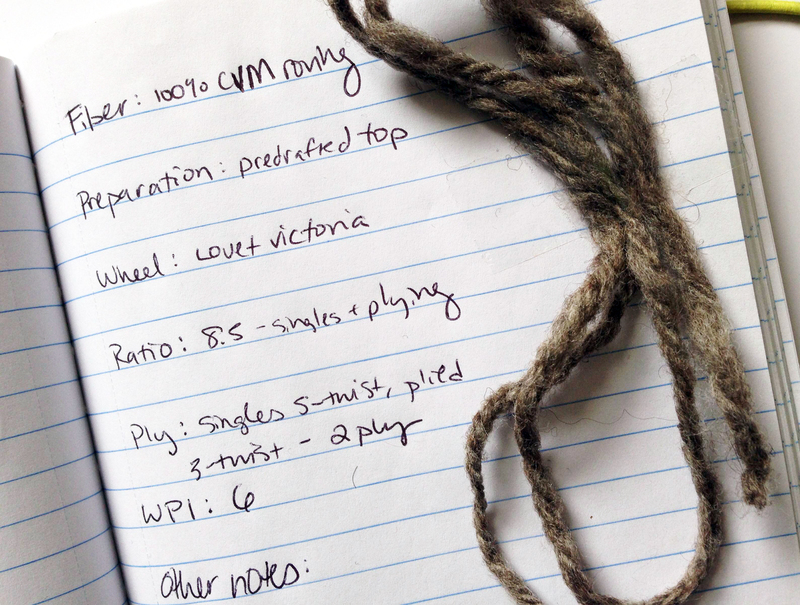 Planning Your Next Handspun Project is as easy as 1, 2, 3! Some folks enjoy the process of handspinning as a way to relax or unwind (if you'll pardon the pun), while others find a more technique- or results-driven approach to be be satisfying - for instance, spinning a woolen-style yarn or experimenting with a new technique to create art yarns. Among our customers, it seems as though most folks prefer a mixture of both, and today's post will help you plan your next handspun project for those days when you crave a little more structure in your spinning session. 1. It's all about the yarn: think about the resulting yarn you wish to create - are you looking for something to suit a particular project? Do you have a fiber that you would like to try out which you've never spun before? 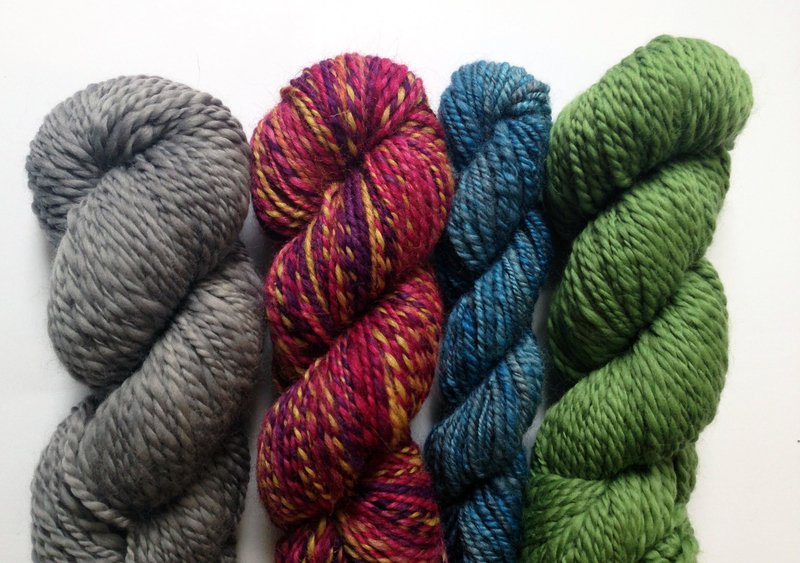 Do you want to make a lofty single-ply yarn, or are you thinking about a sturdy three-ply yarn? Are you looking to try a new spinning or fiber processing technique? All of these are questions which can help guide you to creating the yarn of your dreams without a whole lot of trial and error. 2. Keep a Diary: Starting a sample notebook is a great way to record your progress as a spinner, and it will become a powerful, time-saving reference guide for yourself as you progress. Include a sample of the finished yarn amd make note of how you prepared the fiber, which techniques you used, how many plies and in which direction you plied both the singles and finished yarn, resulting WPI, ratios used, and - if you have multiple spindles or wheels - which wheel or spindle you used. Making note of any other pieces of equipment you used (for example, which type of combs you used, the type of cloth that was on your carder, or if you used an andean plying tool, etc) is also helpful. These are all things which seems like they're be memorable at the time, but much later, you'll be happy you wrote them down - it's amazing how many of these little details can get lost in the process otherwise! 3. Spin those samples: Use a small sample of your fiber to spin up singles using the techniques you plan on using. This will allow you to see if the fiber and technique are a good match, and also give you some time to get familiar with both elements. Not only that, but if you need to achieve a specific weight for the finished yarn, the sampling process will allow you to make the necessary adjustments to ensure success in your finished product. Use as much fiber as you can reasonably spare - an ounce or two is ideal. You will want to be sure to treat your finished samples just as you would your finished project by rinsing them in your favorite wool wash and hanging them to dry! If your sample didn't turn out as expected, it's time to get back to the spinning wheel to make any necessary adjustments to achieve your desired results. Once you have completed steps 1-3, it's time to start spinning the yarn of your dreams!